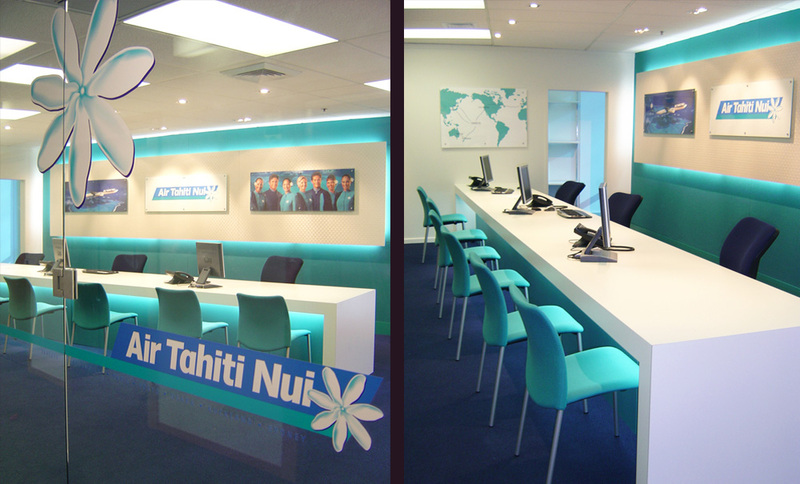 This is the first Air Tahiti Nui reservations office in New Zealand, and has set a standard for their worldwide offices. The office is an efficient space while maintaining a strong corporate image. Lighting and colour play key roles in capturing attention to draw people in, then the subtleties of texture and layering unfold. Our client was keen to introduce Polynesian aspects which we interpreted in a modern way by using wonderful fabric and vinyl reminiscent of traditional weaving patterns as well as providing a niche for selected carvings. A crisp, clean white was chosen to ensure the intense blues and greens did not dominate the space. 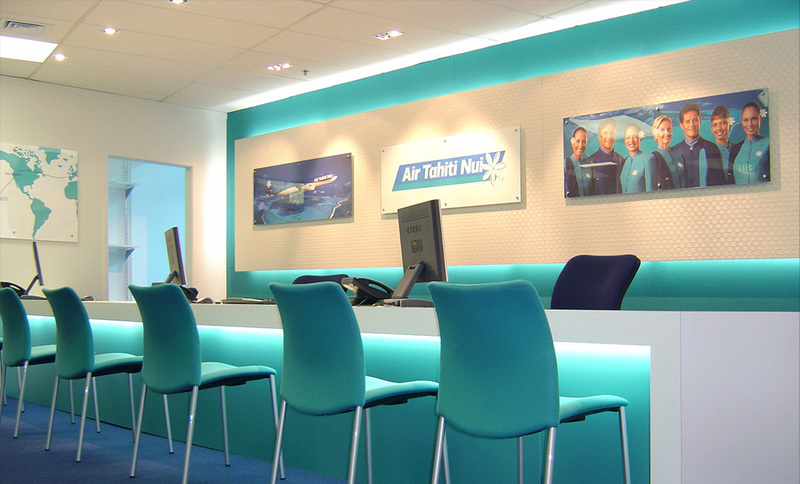 Dark blue is one of the airlines main colour’s and hence was chosen as the carpet colour, this anchors the scheme and adds depth. The large desk is practical and provides ample storage space for its users. It enables easy interaction with clients, so they can both view the computer screen. 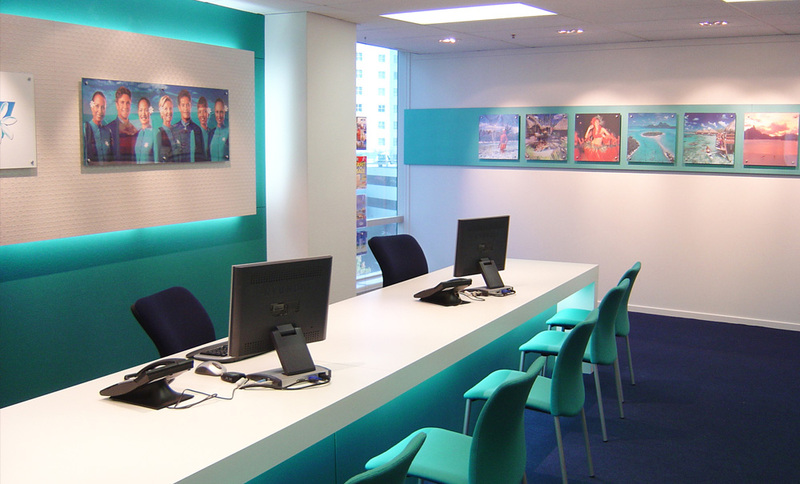 Overall this office provides not only the functions required in an efficient manner, but it ensures the first step of their holiday is a warm, aesthetically pleasing experience.